Any dual purpose motorbike can enter. Cash bar and delicious meals will be available. 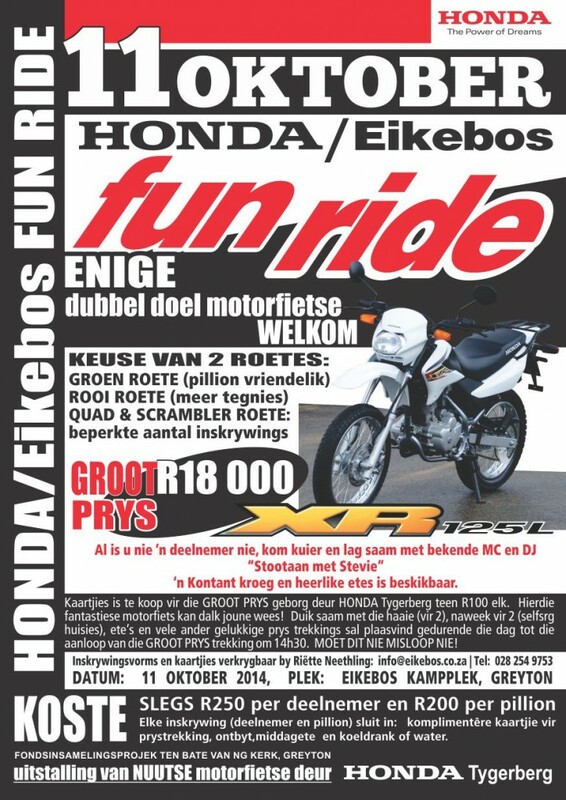 Tickets for the Big Prize sponsored by Honda Tygerberg are available at R100.00 each. This wonderful motorcycle could be yours! Various other prizes are available such as Shark cage diving (for two), a weekend for two, meals and more. The draw will take place throughout the day with the big prize draw scheduled for 14h30. DON’T MISS OUT!! prize draw, breakfast, lunch and cold drink or water.